Busy as a bee: Are bees really busy? How busy are bees, really? Bees aren’t as busy as you think. In fact, some are quite lazy. New York has witnessed an uptick in honeybee swarms this spring, reversing a long decline in the honeybee population and keeping the NYPD’s bee expert very busy. How busy are bees, really? They’re pretty industrious but not as busy as some other animals. 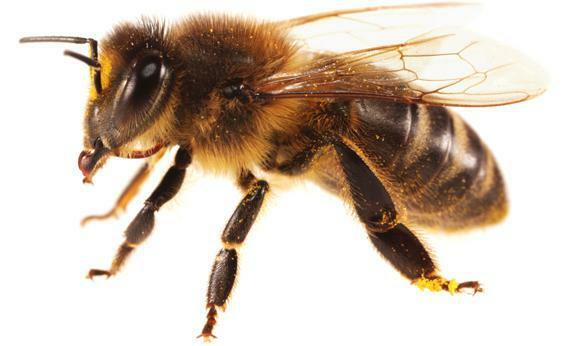 A honeybee might work anywhere from just a few hours a day to about 12, depending on its role in the beehive. For example, worker bees tasked with the daily foraging of nectar or pollen generally spend nearly every hour of daylight outside—but as soon as it gets dark they get to head back to the nest and relax. (Honeybees don’t sleep the same way that humans do—they don’t have eyelids, for one—but they do stop moving, relax their muscles, and let their antennae gradually slump.) Worker bees whose duties lie within the nest don’t have it easy, either—they stay a little busy around the clock, tending to the honeycombs, fanning their wings to keep the nest cool, but they do take frequent breaks. Queens are also busy, if relatively immobile, laying more than 1,000 eggs each day. Drones, by contrast, are quite lazy. They don’t leave the hive until early afternoon, at which time they carouse around in packs, and when they get home just a few hours later, they rely on the worker bees to feed them. To remain as efficient as possible, bees take the day off when there’s ugly weather—if the temperature drops into the 50s, or if it looks like it’s going to rain, or if there are strong winds (above about 15 mph). Also on cold winter days, honeybees stay back in the hive, where they clump together to stay warm—though staying warm, which involves bees taking turns buzzing their wings to warm the others, is a lot of work. On the other hand, on nice days honeybees may be asked to work overtime: If the flowers are particularly rich with nectar, or if there’s lots of pollen that’s ripe for collection, forager bees will go back to the hive to recruit even more numbers. The real reason we call productive people “busy bees” probably has more to with the kind of work bees do than with how busy they are. Since bees are social animals with highly specialized workforces, their work bears a strong resemblance to ours. Similarly, beavers are often used to describe hardworking individuals (i.e., eager beavers), and beavers are also animals who are social, build impressive structures, and perform work for which the reward doesn’t come until much later. To determine which animals are really the hardest working, consider the ones with the highest metabolic demands. Some of these animals, such as shrews and hummingbirds, must busy themselves enough to eat nearly their whole weight in food every day. Explainer thanks Norman Gary, Brian Johnson, Robbin Thorp of the University of California, Davis; and Thomas Webster of Kentucky State University.